We have 15 years experience in the playset installing business.We install boxed and unboxed swing sets from any and all playset companies, commercial and residential. Our services also include refurbishing,releveling,border and mulch,move-setup,teardown,removal etc. 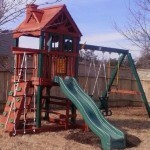 We offer same day response and quote for your playset and also vow to beat any competitor’s price. We have installed playgrounds for the majority of the big playset companies so if you want your playset done CORRECTLY,PROFESSIONALLY and SAFE at a fraction of the cost. 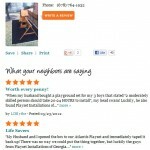 Check out our Kudzu profile for 42+ reviews from Happy Customers!